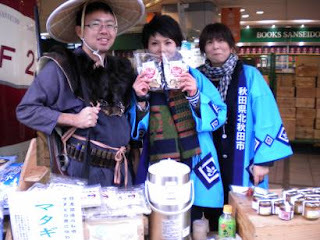 Yurakucho Farmers Market always full of regional fun! A brilliant weekend for farmers markets! Bundle up and head on out to find the busiest weekend of the month for markets in the area. After all that chocolate from Valentine's Day, load up on fresh, seasonal fruit and veg from one of these lovely spots. Explore the wide variety of citrus that have been brightly rolling in for more than a month or check out which winter vegetables can be whipped into asazuke or a hearty stew. Homemade noodles, too, can be found, as can the ingredients for making your own miso. Oh, the possibilities are endless!